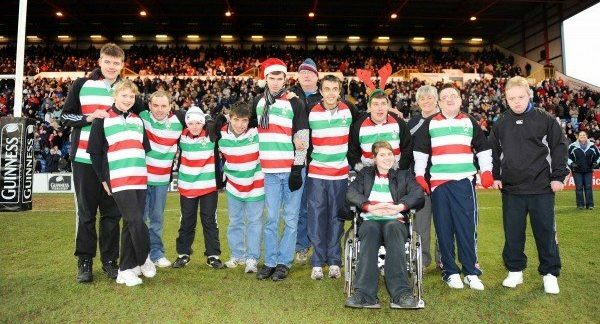 Stockport RUFC has a Special Tag Rugby Squad for young people with disabilities and is the only one of its kind in the North of England. Many of these young people are integrated into mainstream education and yet, at the weekend, there is no equivalent provided in the sports or leisure world. Stockport RUFC aim to provide a safe and well-organised structure in which players of all ages and abilities can develop their potential sporting talent to the full. There are no opportunities for Stockport RUFC’s Special Tag Rugby Squad to play other teams of the same standard as they are the only Special Squad in the North of England. 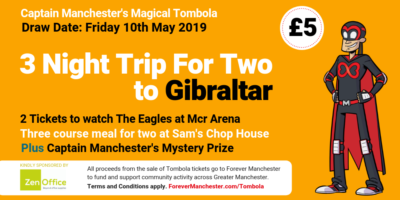 Because of this, they regularly take part in annual international Tag Rugby festivals where they have been able to play other Special Tag Rugby teams from England, Wales and Ireland. These residential weekends have provided invaluable opportunities for squad members to improve their social independence, to learn to work together as a group and to take part in competitive sports. Some parents accompany their youngsters as they value the rare chance to network with other parents who are facing similar difficulties. Other parents take it as an opportunity to take a break themselves. Some of the young people have felt confident to go away with the squad leaving their parents or usual carers for the first time. This is a big step in the process of increasing their independence. Even those who are more independent benefit from a residential weekend away, coping with sharing rooms, making choices and coping with a change of environment. This is potentially stressful for those on the Asperger’s or Autistic spectrum and helps in the very gradual process of desensitisation. When away, the squad members are very aware of the needs of others and are attentive in helping each other by cutting up food, pushing wheelchairs and making sure everyone is involved in activities. On the sporting front, the additional competition sharpens the players’ desire to improve their skills. The contact with other coaches also widens their experiences of playing tag rugby.